Lussan city - Domaine Des Pierres Bleues ! The village of Lussan, classified as one the “Most Beautiful Villages in France” first catches the eye with its fine silhouette against the sky as you approach. High up on its rocky outcrop, it has the attraction of a medieval town surrounded by ramparts, looking out over the scrubland. From ”Le Barry”, the ramparts where the guards would patrol, the visitor discovers a magnificient panorama of the Cévennes and Mont Ventoux. 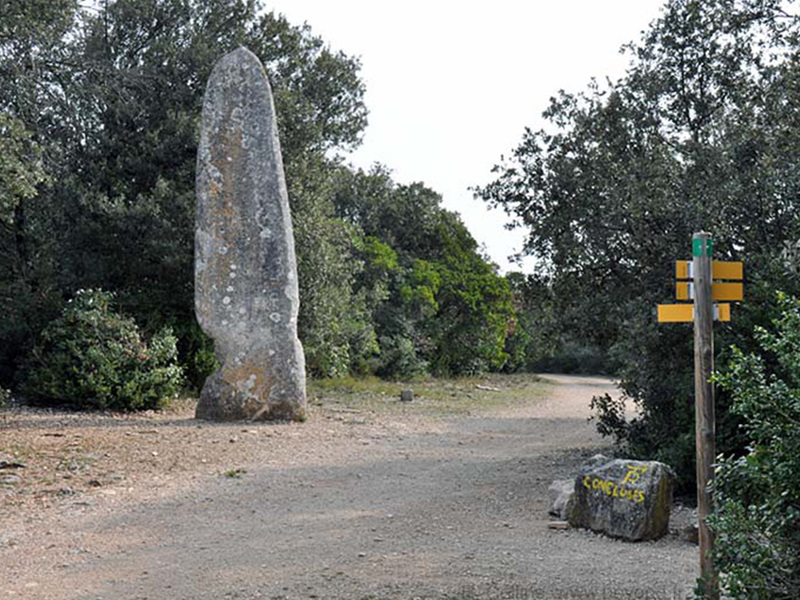 Surrounded by eleven hamlets, and various other traditional farmhouses and localities, this Languedoc village is characterized by its 15th century castle, its narrow streets and stone houses, bearing witness to a rich past. 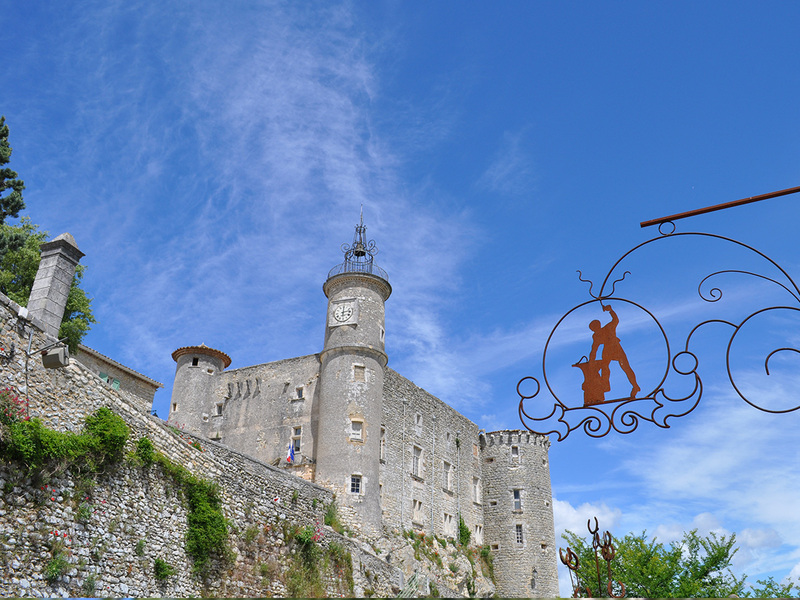 The powerful Audibert family, who reigned supremely over Lussan from the Middle Ages on, built three castles. Two still survive, and are noted in the supplementary inventory of Historical Monuments: the 15th century castle, situated in the centre of Lussan, boasts a beautiful painted ceiling, and the castle at Fan, built in the 17th century, is known to have been occupied by the Gide family. Beyond the village, rambling across the moors can lead you to many natural curiosities, such as the gorges of Les Concluses, or The “Pierre Plantée”, one of the largest standing stones in all Languedoc. A wide variety of flore embellish the routes and paths which lead you to these amazing places. Take your time, observe and listen to this nature in the wild, breathe in the moorland, the fragrances of a vegetation which is so typically southern, with its rosemary, savory, thyme, cane-apple bushes, green oak, and wild broom. Here you are at the heart of an exceptional natural environment. 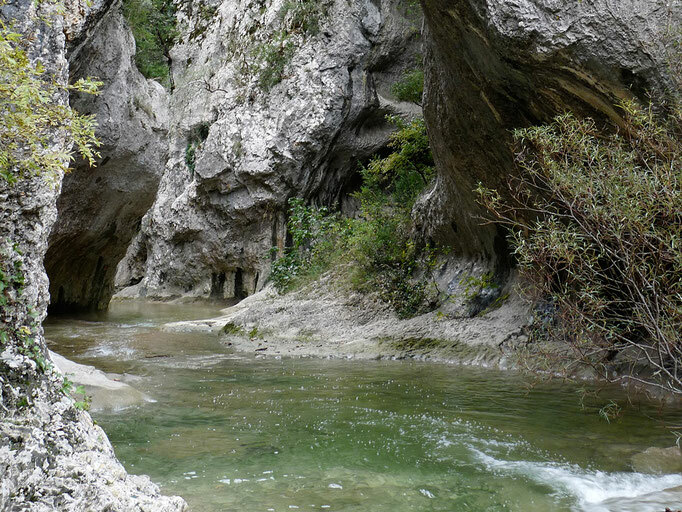 Lussan is a part of the Natura 2000 site “Les Garrigues de Lussan”, a protected zone of more than 29 000 acres, which is home to twenty or more species of wild birds, including the famous Bonnelli eagle and the Pernocptère vulture. au cœur d'un environnement d'exception.